Then came the Snowden revelations which raised its own hailstorm of media attention, information, misinformation, and disinformation (primarily by our government officials, legislative leaders, and the President as well as the Prime Minister of the UK) on exactly how our data was being collected and what it was being used for. Cynics though we are, we wondered if digital privacy issues had finally reached a tipping point, that we would have a national conversation about civil liberties, how to fix FISA, what is the acceptable collection and use of our data by commercial and government entities, and moving forward, how our liberties and data could be protected from corporate and government spying. For us, trying to do an update during this period has been like trying to capture lightning in a bottle as almost every day brings a new slant on what we as citizens, and hopefully voters (why does a majority of our population decline to exercise their most fundamental right? ), consumers, and businesses need to understand when it comes to privacy issues. Privacy and Big Data is now truly a part of the 24/7 news cycle and our collective psyches have taken a major hit as studies continue to show that the majority of consumers are concerned about the privacy of their information but at the same time, believe that they have little or no control over their personal information. We may have become more “worried,” but as we move into 2015, there is still no sign of a tipping point. Should we update the book (other than occasional blog posts) to reflect the current state of digital privacy and is it a needed addendum to the information already out there? Can we offer something new to the conversation and can we do it in a chapter or two? While the benefits of IoT are extraordinary, this new anything that can be connected will be connected universe brings with it a number of challenges in terms of data governance, security, privacy, and other areas. The virtual and physical world have become intertwined and we want to help you explore that new reality. Once again, we are embarking on a writing adventure and will be providing updates as we move through the book creation process. Check back here for updates on our progress. Note: We made a concerted effort with Privacy and Big Data to filter out our opinions on the topics we covered. But, as those of you who have heard us speak at conferences and other events can attest to, we are certainly opinionated. For this publication, we decided to inject our own thoughts on the topics as well as what we would like to see happen on a variety of fronts. If you are a publisher or agent who wants to learn more about what we’re doing, email us at: media@patternbuilders.com. Every couple of weeks we will publish one of our trends but here’s a teaser to whet your privacy appetites! Since the initial publication of Privacy and Big Data, privacy-related news has become the topic du jour in the form of reported indiscretions—both personal and professional—pending legislation here and abroad, extended government reach into all of our online and offline activities—pre- and post-NSA revelations—all kinds of purported privacy breaches, along with a myriad of judicial opinions that have yet to signal what an expectation of privacy means in the digital age. Privacy has entered the mainstream psyche and unfortunately, is as confusing and confounding as ever. While the conversation has certainly gotten louder and more strident, it is still difficult to discern where exactly we are all going to end up (although we are very opinionated on what the outcome will be). In an attempt to characterize what may look like the uncharacterizable, we give you our take on the top ten privacy trends—not to be confused with David Letterman’s Top Ten lists which are much funnier. But before we begin: a disclaimer. Sifting through the media coverage, books, blog posts, and research studies has been no easy task. Trying to understand how all of it fits into the larger privacy landscape is even harder. Added to that, a top ten list is sure to elicit a litany of trends that we missed. We certainly hope that it does as it would be another indicator that we as a society are starting to debate what privacy means in the digital age. The more debate the more we can impact privacy guidelines and regulations. Check back in a couple of weeks for our first privacy trend—and keep in mind that they are in no particular order as each is equally significant! And before we end this post: Our thanks to O’Reilly editors Mike Loukides (@mikeloukides) and Meghan Blanchette (@MeghanORM). Their feedback throughout the book development process and their support pre- and post-release was much appreciated! Entry filed under: Book, Privacy and Big Data. 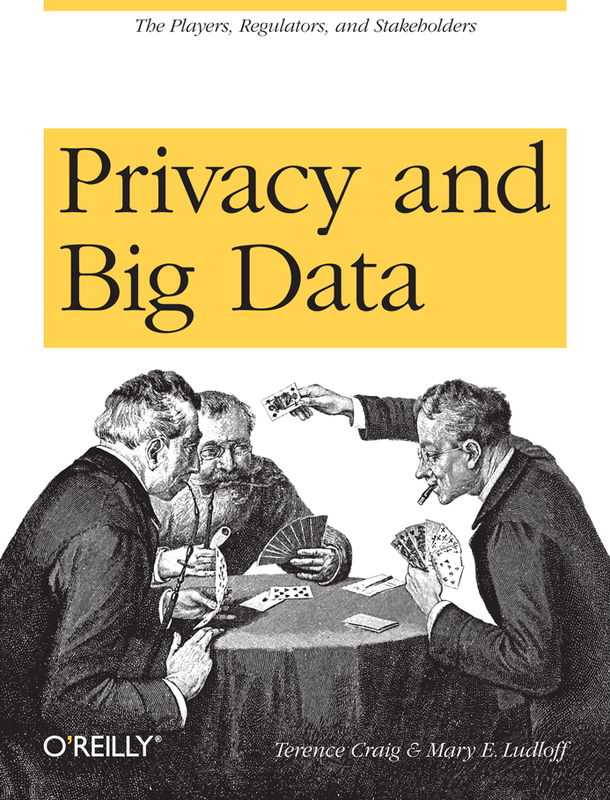 Tags: book, data privacy, Privacy, Privacy and Big Data.